FMF - Friends of Minerals Forum, discussion and message board :: View topic - "ite"
Posted: Oct 07, 2018 13:24 Post subject: "ite"
As I was working in the wood shop today, and thinking about humboldtine, this question popped into my pea sized brain. Why minerals names end in "ite" so much. I found this: "The suffix "ite" is derived from the Greek word lithos (from its adjectival form -ites), meaning rock or stone. So, minerals named that depends on the earlier part of the name. Olivine would be a mineral that pertains to olive, and so possibly has an olive colour." Found in "English Language & Usage". I'm sure you all knew that. Posted: Oct 07, 2018 13:39 Post subject: Re: "ite"
Posted: Oct 07, 2018 13:54 Post subject: Re: "ite"
Celestine has been adopted by the international organization that rules on such things. 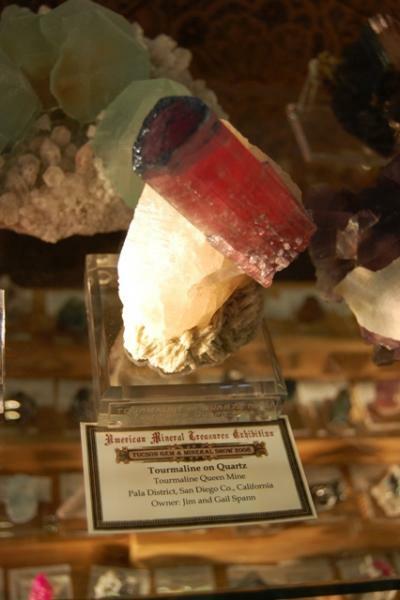 It was selected over celestite because it has been established that celestine has priority, that is, celestine was seen to have been used in the literature before celestite. 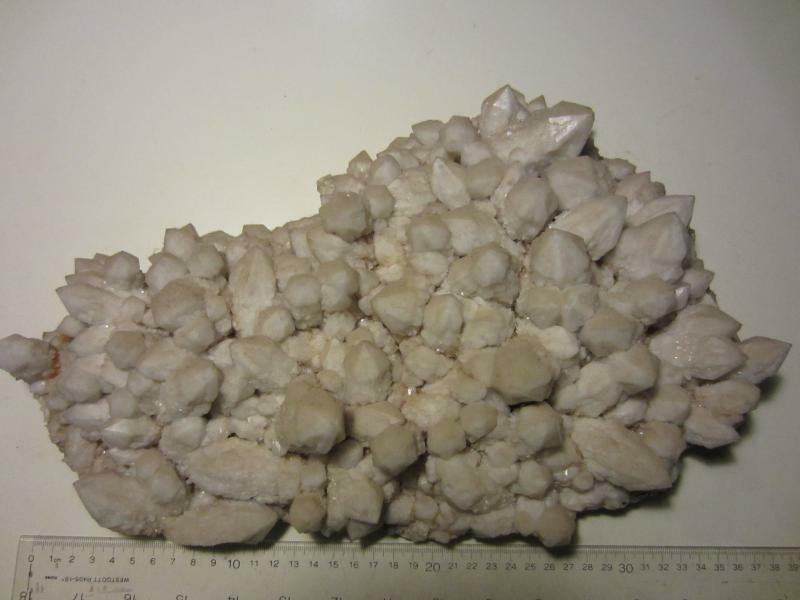 I would say that celestine is now in wide use in the U.S. but old habits can be hard to change so many collectors and dealers here still use celestite, just as with baryte vs. barite. In this case baryte is now the officially approved form. Not sure what Vic's point is in that he appears to have answered his own question except that his example "olivine" is an unfortunate one because olivine is no longer a valid mineral species. Try rutile. Many of the better mineral texts provide the reason for the name given to every mineral. Posted: Oct 07, 2018 13:59 Post subject: Re: "ite"
In French, there are 2 words to designate the mineral fluorite: "fluorite" and "fluorine"
Posted: Oct 07, 2018 14:20 Post subject: Re: "ite"
"Not sure what Vic's point is in that he appears to have answered his own question except that his example "olivine" is an unfortunate one because olivine is no longer a valid mineral species." JW. The point was the "pea sized brain", John. My first stop was Google. Kind of stream of consciousness stuff. 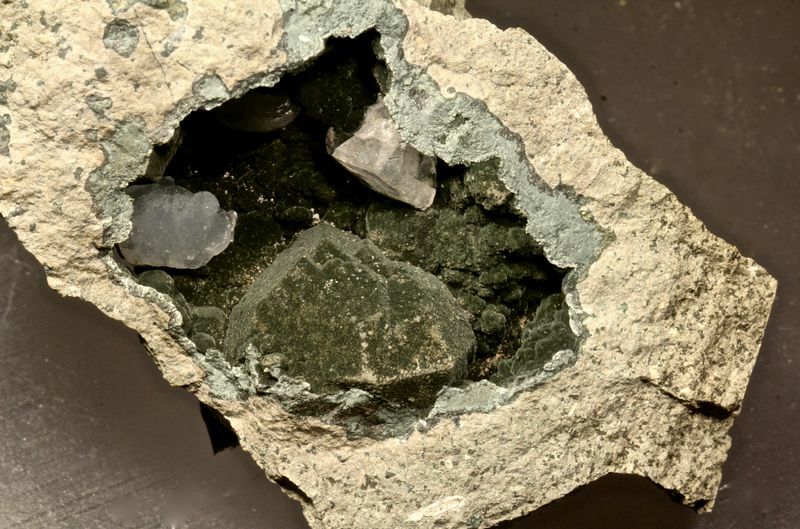 Posted: Oct 07, 2018 14:55 Post subject: Re: "ite"
In Vic's defense, let's note that he called olivine a "mineral" (which it certainly is), and did not imply that it was a mineral "species" name. I blame Joe Mandarino for the pressure felt by many collectors to use only species names on labels, and to view usage of variety/series/group names as somehow inferior. Unnecessarily restrictive, in my view, akin to telling a dog owner that they are not allowed to use "poodle" but must always call their pet a "Canis lupus familiaris". Posted: Oct 08, 2018 02:49 Post subject: Re: "ite"
Unnecessarily restrictive, in my view, akin to telling a dog owner that they are not allowed to use "poodle" but must always call their pet a "Canis lupus familiaris". Posted: Oct 08, 2018 08:43 Post subject: Re: "ite"
In chemistry, trivial names are used. Posted: Oct 08, 2018 09:12 Post subject: Re: "ite"
Japanese mineral suffixes are interesting - Most mineral names end in -seki or -ishi, both of which are written 石 in chinese characters, which means "stone". But some mineral groups have more detailed "-seki" suffixes, like -denkiseki 電気石 for the huge group of tourmaline species (which means "electric stone"), or -senseki for amphiboles, -kiseki for pyroxenes, -fusseki for zeolites, and -chohseki for many of the feldspars. Micas however don't use a -seki suffix at all; they all end in "-unmo". And metallic ore minerals end in -koh (like the old german "-kies" suffix). Although I don't know Chinese, I can say that its mineral suffix structure is similar (Japanese writing, and much of its ancient technical terminology, were afterall derived from chinese). Posted: Oct 08, 2018 10:10 Post subject: Re: "ite"
Show off! I am not changing my labels to Japanese. Hope to see you soon in Munich. Posted: Oct 08, 2018 10:15 Post subject: Re: "ite"
Posted: Oct 08, 2018 10:40 Post subject: Re: "ite"
I fully agree with Joe’s comment about using obsolete mineral names. They are convenient and everyone knows what they mean. Posted: Oct 09, 2018 08:50 Post subject: Re: "ite"
In Italian we use the suffix "ite" for any kind of mineral, but for celestine (which we call "celestina") or celsian ("celsiana") etc. Acetic acid = acido acetico! And often we transform the letter-group "ph-" in the simple "f". For example, phosphosiderite (English) = fosfosiderite (Italian); phlogopite (English) = flogopite (Italian).